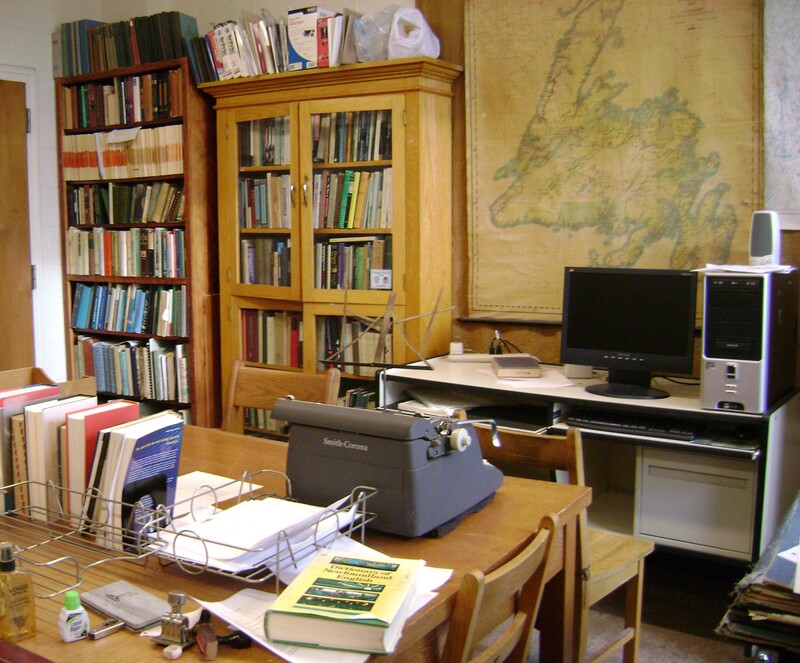 The aim of the English Language Research Centre (also known as the Dictionary Room) is to promote the investigation of the English language in Newfoundland and Labrador, a province on Canada’s east coast. Research covers a broad spectrum, from lexicon, place names, and family names to regional dialect variation across the province. Work at the Centre has resulted in a number of publications, including the Dictionary of Newfoundland English, Place Names of the Northern Peninsula, and Family Names of the Island of Newfoundland. The ELRC is also the home of DANL, the online Dialect Atlas of Newfoundland and Labrador English. Part of Memorial University campus, the ELRC provides workspace for researchers and students. It houses a reference library, along with extensive collections of primary research materials. The central and largest collection in the ELRC is the lexical files compiled for the Dictionary of Newfoundland English. This was begun in the late 1950s and remains an active project to this day. The DNE Collection consists of more than 100,000 slips and cards, each containing an example of a local word in its actual usage, or a commentary on a word by the dictionary’s editors and contributors. Assistants in the ELRC are digitizing these files with the intention of both preserving them and making them available to other researchers in an efficiently searchable database.